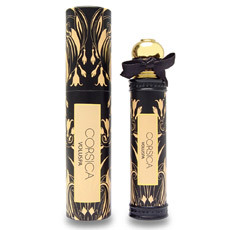 VOLUSPA Corsica Perfume Rollon 15.5 ml. Dance until the break of dawn, then rest languidly along the Corsican coastline. Lush, tropical frangipani is juxtaposed with tart Corsican orange rind and zesty white peppercorn, to create a spicy floral fragrance that is both assertive and deliciously feminine. Checkout more of the great VOLUSPA products at Your Cosmetics. VOLUSPA Cult of Helios Perfume Rollon 15.5 ml. Divine Peruvian heliotrope is the focus of the aptly-named Cult of Helios, for the rich, creamy fragrance is rich enough, indeed, to inspire a cult-like following. The powdery, ethereal blossoms softly whisper, conjuring visions of an enchanted forest rife with delicate flowers. VOLUSPA Green Datura Perfume Rollon 15.5 ml. Dangerously beautiful green vein datura takes center stage in this sultry interpretation of the deliciously deadly blooms. Sweet lemon blossoms and tart green apple add an unexpectedly crisp tone to the fragrance, complementing the creaminess of the datura. 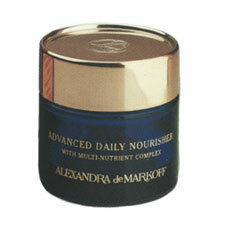 Alexandra de Markoff Advanced Daily Nourisher, a vitamin, mineral rich complex that moisturizes and helps the skin rejuvenate overnight. Infused with vitamin E, C and A to help to protect the skin from harsh elements. Mango Butter and Ceramide III help smooth and moisturize, leaving skin with a healthy glow. Alexandra de Markoff's Alexandra, a mysterious timeless fragrance in a perfumed soft silky body powder. Finish your bathing experience with timeless fragrances from Alexandra de Markoff. Layer with Alexandra de Markoff Body Lotion, Alexandra de Markoff Oil Mist, Alexandra de Markoff Natural Cologne Spray and Alexandra de Markoff Essence Mist. Alexandra de Markoff Alexandra Essence Mist is a mysterious and mesmerizing, timeless fragrance, with soft florals, Jasmine, rose, iris and marigolds. Softened with sandalwood, patchouli, musk and vitiver. 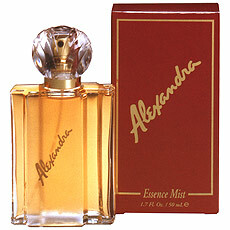 A timeless fragrance, Alexandra Essence Mist. Layer with Alexandra de Markoff Body Lotion, Alexandra de Markoff Oil Mist, Alexandra de Markoff Natural Cologne Spray and finish with Alexandra de Markoff Body Powder. Read the terms for use before downloading any graphics from this website.